Born in Glasgow, the son of engineer George Chalmers, he trained under John Honeyman, then set up on his own in 1887. Like Honeyman, he became a noted church designer and restorer, and was an authority on Scotland's Medieval art and architecture. 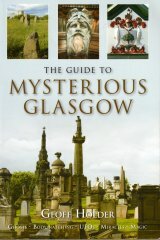 His published studies include, A Scots Medieval Architect, St Ninian's Candida Casa, and The Govan Sarcophagus. In 1896, he published a withering critique on Glasgow's ornamental fountains in Art In Our City - Glasgow. He designed mainly in the Romanesque style, and included St Kenneth's Church, Govan (1899) and St Margaret's, Polmadie (1902) amongst his finest churches in the city. Elsewhere, he designed Carnoustie Parish Church and Ardwell Church, Wigtonshire; repaired Glenluce Abbey and restored Iona Cathedral; and was architect to Paisley Abbey, overseeing its reconstruction from 1912, until his death. His secular work includes the Neptune Building, 470 Argyle Street (1905-6, dem. 1966) and additions to country houses. According to David Walker (in Gomme & Walker), his wife was also involved in architecture and "ruled her husband with a rod of iron". They lived at 52 Lawrence Place, Dowanside. Chalmers died of heart failure in Edinburgh whilst visiting Merchiston Bank Gardens, and was buried in the Necropolis. His monument has since been toppled from its base and recently re-erected. GH [Obit], 16 March, 1922, p. 9, [Funeral] 20 March, 1922, p. 5.